Healthcare is one of the most leading problems in today’s world. The number of doctors is a constant, but the number of patients is always increasing. Of course, the general education of the world is increasing, and the number of doctors is much more compared to the number of specialists available a century back, but compared to the explosive growth of population, the relative growth of the number of doctors is negligible. Nonetheless, the quality of healthcare needs to improve for tackling the constantly evolving problems. So, what are some of the important things needed in today’s world of healthcare? Increase in the number of patients compared to the negligible rise in the number of doctors has spelled a very big problem, namely, lower quality of service. This was inevitable since a doctor has to service 5 times the number of patients now compared to a decade back in the same time. Thus, the result is that the time devoted to an individual patient has been lowered. This is resulting in inefficient or altogether incorrect diagnoses at times. The solution is that the number of patients should be decreased or the amount of time devoted on an individual patient should be increased to adequate levels. This is a very important, yet, highly underestimated skill. Any communication comprises of 2 different parts: speaking and listening. Not only that, if a patient is not able to get his symptoms clearly through or if the doctor is unable to understand the points presented by the patient, it becomes practically impossible to provide a cure or solution for the ailment. Thus, the solution should be looked at by both parties. The patient should try to present their symptoms in the best way they can in order to convey the proper information to the doctor and the doctors should be properly trained to handle the information. Communication between both parties is vital in order to be able to come up with a plan of action. 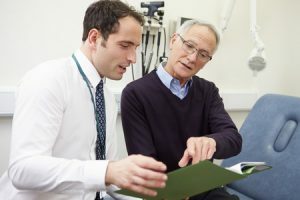 If the communication between the doctor and the patient is lacking then the patient can go un-diagnosed or misdiagnosed and this can have consequences up on a person’s health. It has been seen that most often half the problem can be solved with a proper counselling from the part of the doctor. Modern healthcare is an accumulation of all the information in medical history from the past several hundreds of years plus new up to date medical intervention and treatments along with impressive diagnostics systems. Thus, all doctors should keep themselves up to date to be able to assist their patients in the best possible way. It is vital that all physicians constantly keep up to date with any new ways of medicine, including practice, treatment, cure etc so that their patients can receive the latest in medical care. Often, patient problems can arise in emergency conditions. Out of hours, solutions should be made available to all patients irrespective of the time. Often, remote regions do not have the proper medical facilities for handling critical cases. Proper care should be taken to ensure that this is not the case and that at the least; emergency medical care is available in all regions. Doctors should follow up with patients to see if they are taking preventive services. After all, prevention is better than cure. A relapse of a problem can often be worse than the original disease so it’s vital that patients attend any follow up appointment and this should be monitored closely. Thus, the doctors should prescribe proper care to prevent such cases even after the treatment is concluded. This not only includes tests to spot recurrence but preventive measures in order to make sure that the cure works to its optimum level.